Lloyd Daniels opened the show making all the teenage girls go crazy and was followed by the other finalists who took it in turns to take to the stage in front of thousands of screaming fans. My boyfriend absolutely loved it when Olly came on and even tried to imitate his unique dance style. Tried definitely being the right word to use! But Olly really did have a way with the crowd as he worked the stage with ‘Twist and Shout’ and ‘Fool in Love’. It must have been such a close call between him and Joe for winner. However, it was cheeky twins Jedward that the crowd really went crazy for as they ran, jumped, flew through the air and, just about, sang and danced! 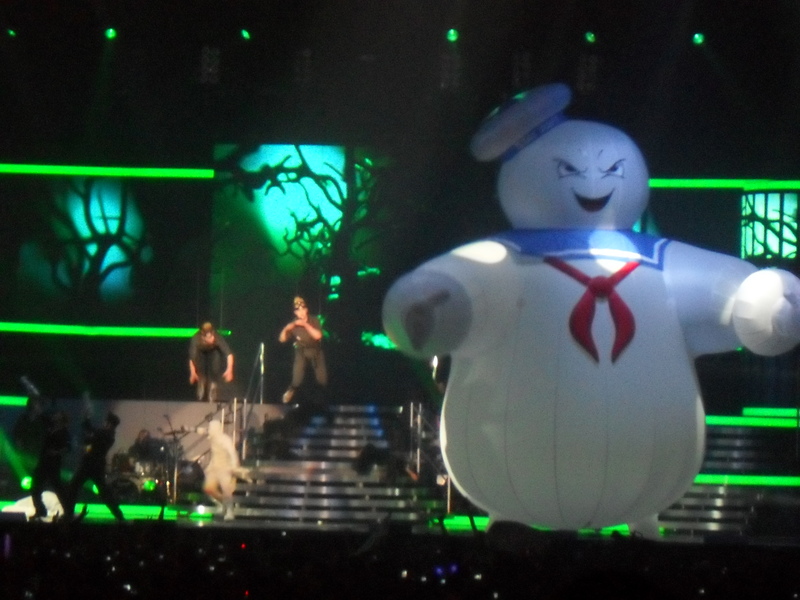 Their performance of ‘Ghostbusters’ was so theatrical with a massive blow up ghost on the stage and the boys pretending to destroy it with water pistols…you’ve got to love them, haven’t you? There were also stunning performances from Stacey and Lucie and a particularly moving moment when Danyl began playing the piano and singing ‘I’ll get by with a little help from my friends’. He was joined by Jamie and Olly as the chorus kicked in. What a fantastic experience these, once ordinary, people are sharing together. The best act was saved until last as Joe came on for the last half an hour of the second half. 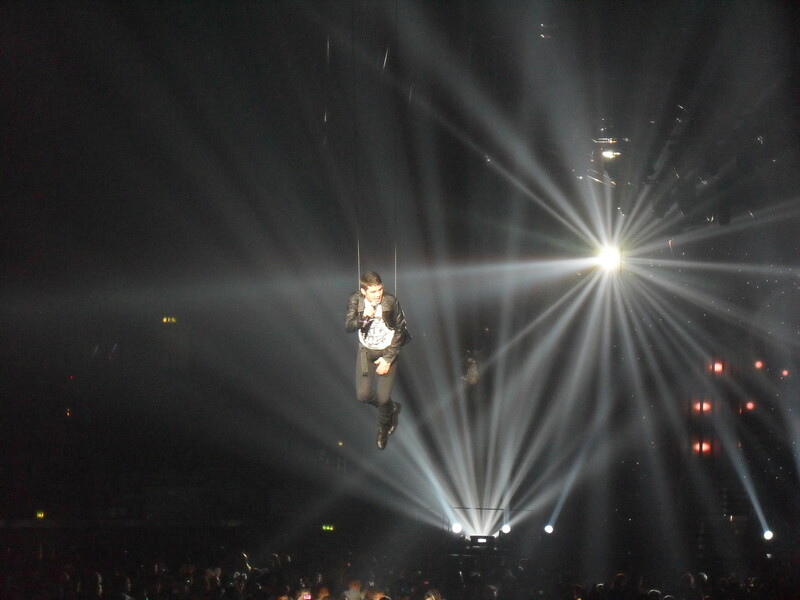 He appeared on the spotlit stage in the centre of the arena, was lifted into the air and flew to the main stage singing his debut single ‘The Climb’. He sang favourites such as ‘Sorry seems to be the hardest word’ and ‘Don’t stop believing’. He has such a beautiful voice and really did deserve his title as the winner. The concert finished with all the finalists on stage singing their number one charity single You are not alone. It was an amazing night proving how true stars can be found in talent show contests. I wish them all luck in their future careers.